Pascal upgrade. 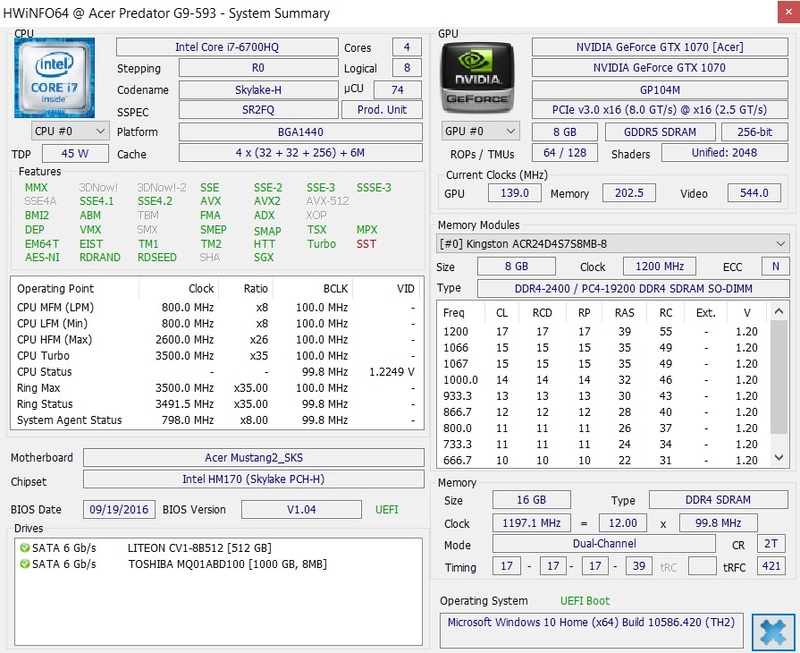 Acer now uses the latest Pascal GPUs from Nvidia for the current Predator 15. We also get some additional features that were missing with the previous models. The design of the bulky 15-inch gaming notebook is still a matter of taste though. 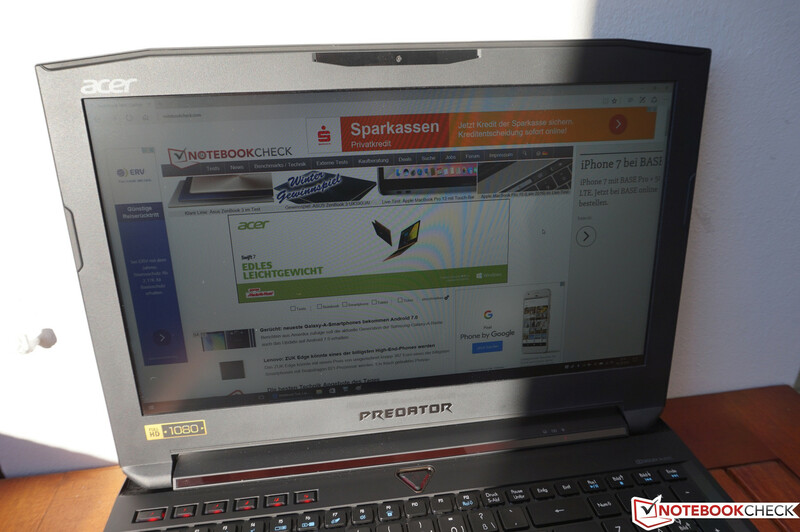 This is already the third iteration of the Acer Predator 15, and the two predecessors (G9-591 & G9-592) managed good scores in our reviews (86 and 84%, respectively). Now we will have a look at the current Predator 15 G9-593. 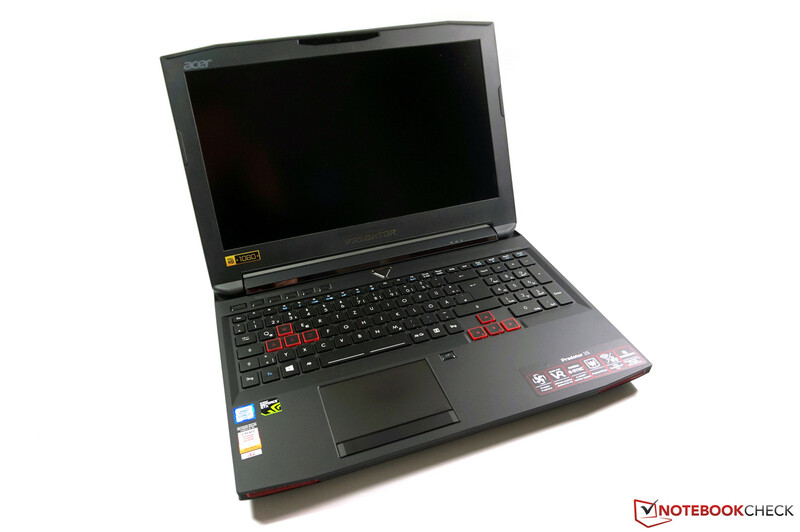 Besides some smaller visual changes, Acer updated the hardware – primarily the graphics card. The latest Predator is now available with Pascal GPUs from Nvidia as well. Our test model with the designation Predator 15 G9-593-765Q is currently the high-end SKU of the series. For around 2,500 Euros (~$2660), you will get a quad-core processor from Intel as well as the powerful GeForce GTX 1070 in combination with a G-Sync Full HD IPS display (15.6-inch). 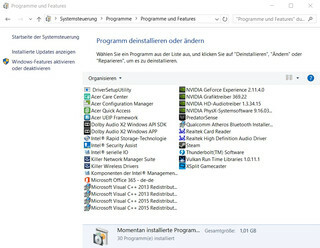 The system does not have to hide in terms of memory equipment, either, because a total of 16 GB RAM (DDR4-2400) and a dual-storage solution consisting of a 512 GB SDD and a 1 TB HDD is pretty good. 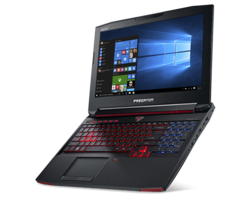 All big manufacturers have released updates of their gaming notebooks with Pascal GPUs by now and we could already review most of them. 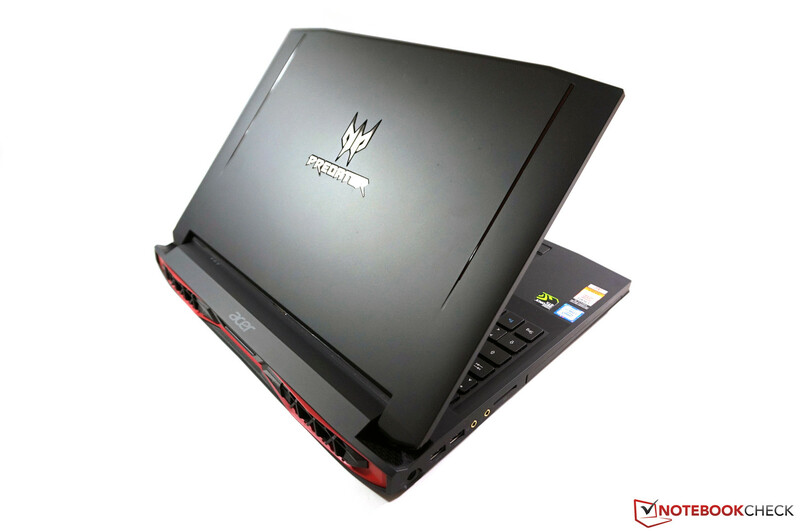 Our comparison group for 15.6-inch systems includes the MSI GT62VR, Asus ROG Strix GL502VS, Schenker XMG P507 and Aorus x5 v6. 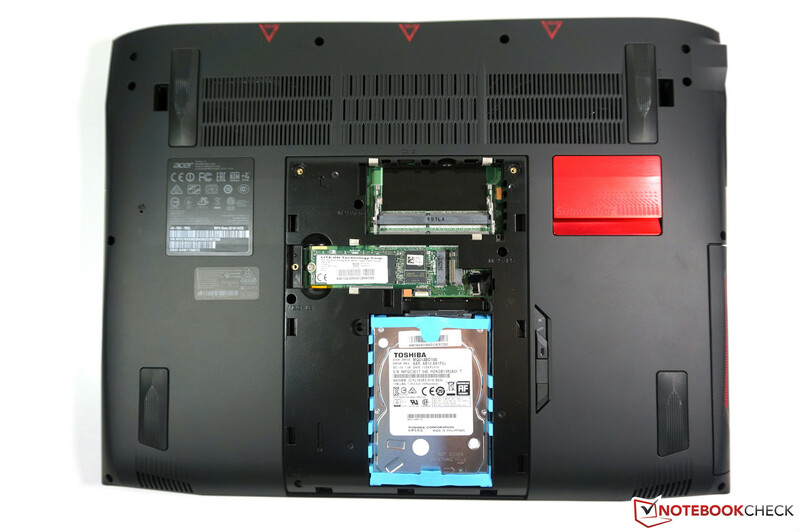 Alienware's 15 R3 is also a suitable rival, which also got a completely redesigned chassis during the Pascal update, but we could not yet review the gaming system from Dell. The update did not really change the very aggressive design with its red visual elements and the red illumination. Only the fan exhaust at the rear differs a bit from the old model, but you will have to see both devices to really notice the differences. It does not get that much better when you open the lid. 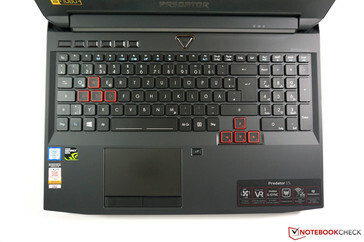 The WASD keys as well as the directional keys are highlighted in red, the touchpad is illuminated and the macro buttons as well as the power button are always illuminated in red – even if you change the colors of the keyboard. We do not like the design, but this is certainly a matter of taste. One aspect you cannot argue about is once again the really good stability of the thick base unit, which is not affected by pressure at all. You have to be a bit more careful with the screen. 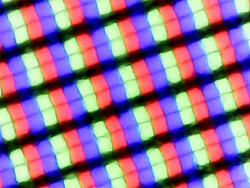 It can be twisted quite easily and pressure from behind will also result in ripples on the screen. The maximum opening angle is sufficient at 140 degrees. Despite the high weight, Acer "only" uses a plastic chassis. Thanks to the slight soft-touch finish, however, the case still leaves a sophisticated impression. There is a maintenance hatch on the bottom, but neither the fans nor the battery are accessible. We also did not like all the stickers on the palm rest. 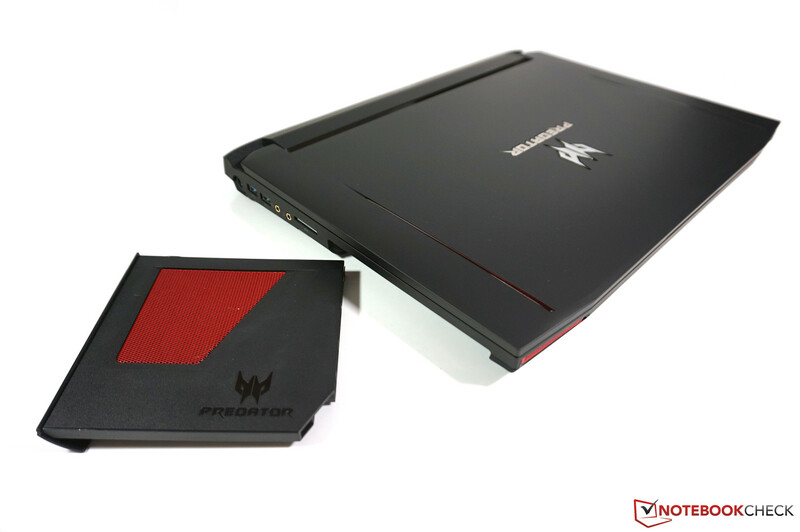 Our size comparison clearly shows the very bulky chassis of the Acer Predator 15 G9. It not only has by far the biggest footprint, it is also one of the thickest devices. At a height of 3.9 centimeters as well as a weight of 3.9 kg (+900 grams for the power adapter), the test model is not what you would call portable. 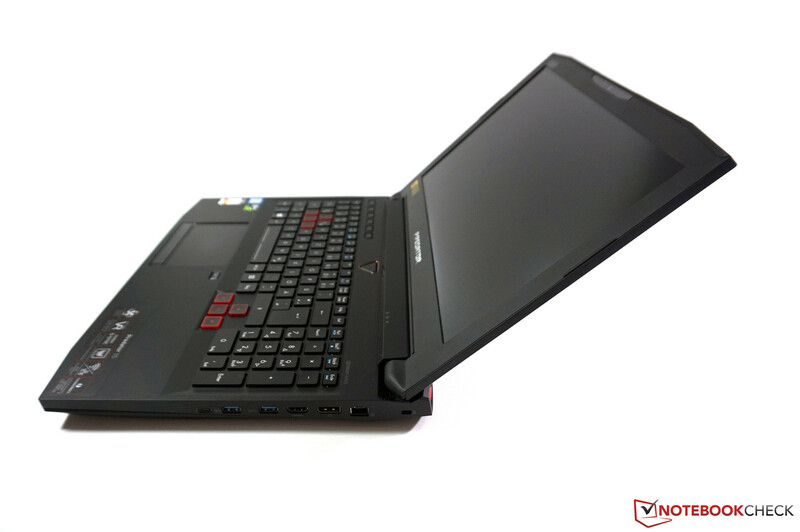 The Predator 15 G9-593 is equipped with the latest ports. Acer not only implements four regular USB 3.0 ports but also one modern USB 3.1 Type-C jack (Gen.2) with Thunderbolt 3 support. In combination with the HDMI 2.0 output and the DisplayPort, you can attach up to three external displays (up to 4K) with Nvidia Surround and G-Sync support. We did not notice any problems during our review period. 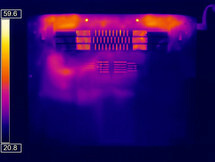 The ports are well distributed across the sides since the rear is fully occupied by the cooling solution. Only the two USB ports on the left side are pretty close to each other, so there might be problems with wide USB thumb drives or cables. Acer probably uses the card reader from the predecessors, because the performance is unfortunately similarly low. We only determined values between 79-89 MB/s in combination with our reference card from Toshiba (Exceria Pro SDXC UHS-II 64 GB, up to 260 MB/s). However, this is also the case for the rivals; only the MSI GT62VR is significantly faster at up to 190 MB/s. Acer still uses communication modules from Qualcomm/Atheros. Wired connections are handled by the Gigabit Ethernet card e2400, and the wireless module Wireless-n/a/ac 1535 supports all common standards including Bluetooth 4.1. 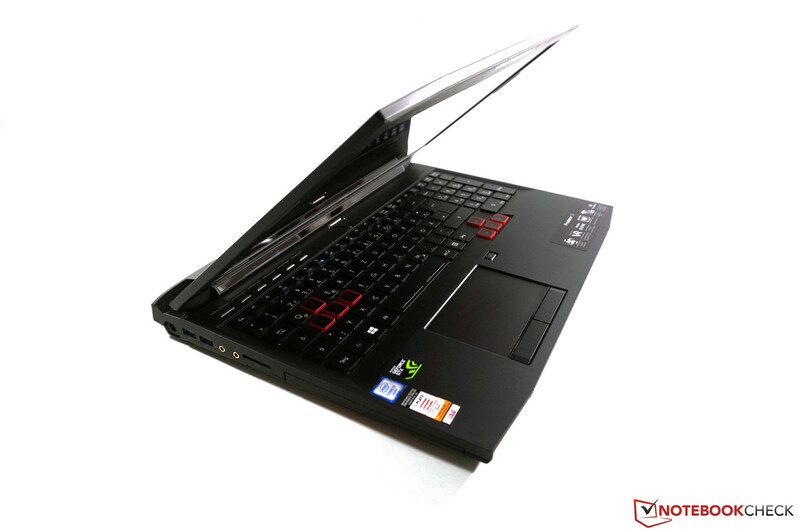 Thanks to numerous optimizations, the module is particularly popular amongst gaming notebooks. More information is available in our dedicated review of the 1535 module. There are no problems in our standardized WLAN test with the router Linksys EA8500 (1 meter away). The module manages 670 Mbps (receive) and 608 Mbps (send), respectively, out of the theoretical maximum of 866 Mbps. This means there are no limitations in this respect. Acer ships the Predator 15 G9 with a pretty clean Windows 10 Home 64-bit installation. We can find the usual suspects like a trial version of Office 365, for example, but nothing really annoying. The central hub for gamers is Predator Sense that we already know from the previous models. It is a simple graphics interface where you can adjust the clock behavior of the graphics card, macro keys and the keyboard illumination. 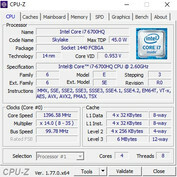 The tool also shows the core temperatures as well as fan speeds. The familiar feature Dust Defender, where the fans are supposed to be cleaned, was not installed in our test sample. You can, however, activate the maximum fan speed manually. Besides the bulky 230-Watt power adapter and the usual service manuals, the Acer Predator 15 G9 is shipped with the additional fan called Frost Core. It can replace the optical drive and is supposed to have a positive effect on the temperature development. 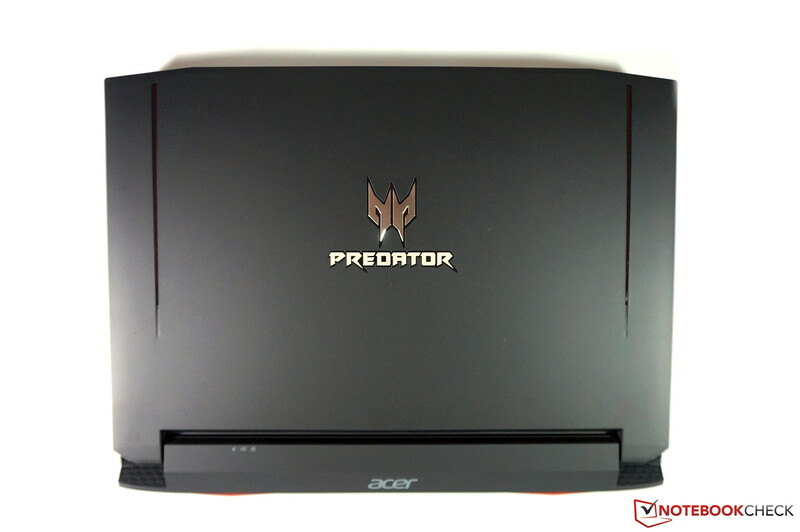 The maintainability of the Acer Predator 15 is rather limited, despite the large maintenance hatch on the bottom. You only get access to the hard drives and two empty RAM slots, so at least upgrading the memory is pretty easy. Access to other components requires further disassembly of the chassis. Both the processor and the graphics card are once again soldered onto the motherboard. The warranty period for the Acer Predator 15 G9-593 is 24 months (12-month international) and includes a Pickup & Return service. Please see our Guarantees, Return Policies & Warranties FAQ for country-specific information. The input devices do not differ from the predecessors, so we just want to summarize the most important aspects: The illuminated chiclet keyboard is one of the better inputs on the market and convinces with a comfortable typing experience thanks to the convenient key travel. 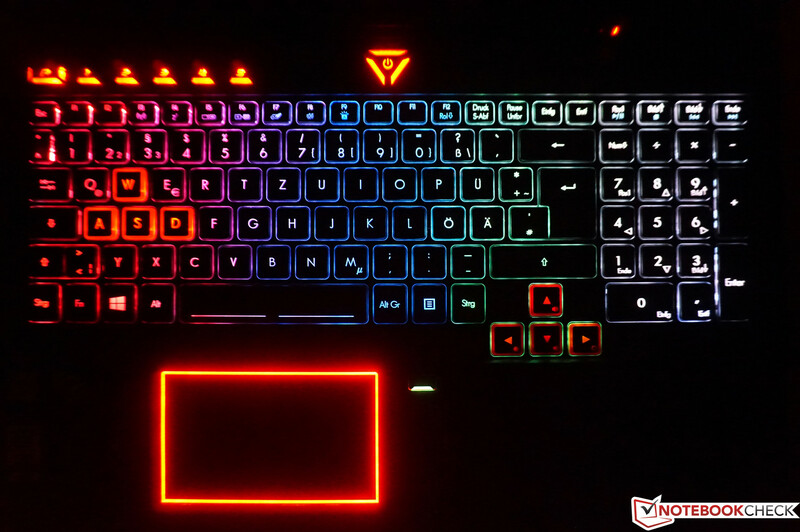 Acer also implements an RGB keyboard illumination, which can be adjusted in four different zones. It is automatically deactivated when you do not use the keyboard for a while, but there is unfortunately only one brightness setting. Above the keyboard are five illuminated macro keys that can be assigned with three different functions. The mouse replacement of the Acer Predator 15 is a classic touchpad with dedicated mouse buttons. The surface provides decent gliding capabilities and the size is sufficient. Only very small cursor movements are not always perfectly executed. Multi-touch gestures on the other hand are no problem for the pad. We prefer the two mouse buttons over ClickPads in general, but Acer could have another look at the clicking sounds since they tend to clatter a bit. However, this does not affect the functionality. 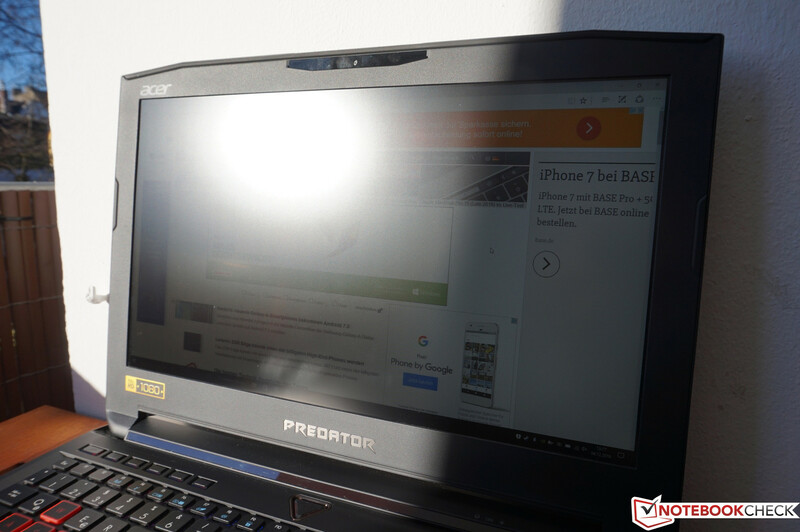 Contrary to its larger sibling Acer Predator 17, the Predator 15 is only available with a Full HD IPS panel. 1920x1080 pixels results in a pixel density of 141 PPI on the 15.6-inch screen, which is a decent compromise between sharpness and size. Similar to the previous models, Acer once again uses an IPS panel from LG Philips (LP156WF6-SPP1, ID: LGD04D5), which is still one of the best 15-inch screens. There is one change compared to the predecessors though, because the new model now supports G-Sync for the internal panel. Acer fortunately does not use PWM to control the background illumination. The response times are also decent for an IPS panel and we cannot see annoying backlight bleeding on dark content. At an average luminance of almost 270 nits, the panel of the test model is slightly darker than the competition, but it can convince with good results for the black value, contrast, and the color deviations in return. 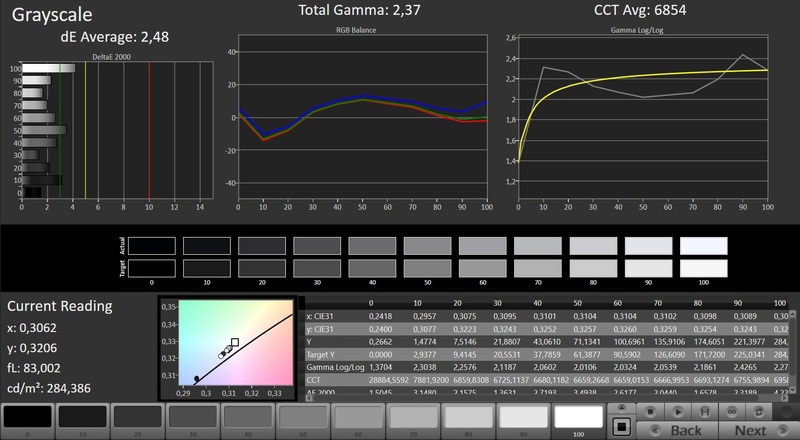 A calibration is not really necessary here, because the average DeltaE deviations compared to the sRGB reference are already around 3 ex-works. A calibration improves the grayscale performance in particular. Almost all comparison devices manage similar results for the color gamut, although the results are not that important for a gaming notebook. In comparison, all tested devices range from 0.8 (minimum) to 240 (maximum) ms. » 40 % of all devices are better. In comparison, all tested devices range from 0.9 (minimum) to 636 (maximum) ms. » 26 % of all devices are better. Besides the limited mobility, the Predator 15 is not a perfect outdoor device due to the luminance. Everything is fine in the shade and reflections are no problem thanks to the matte panel surface, but the picture will quickly appear washed out on bright days or even direct sunlight. As expected, the IPS display provides wide viewing angles. 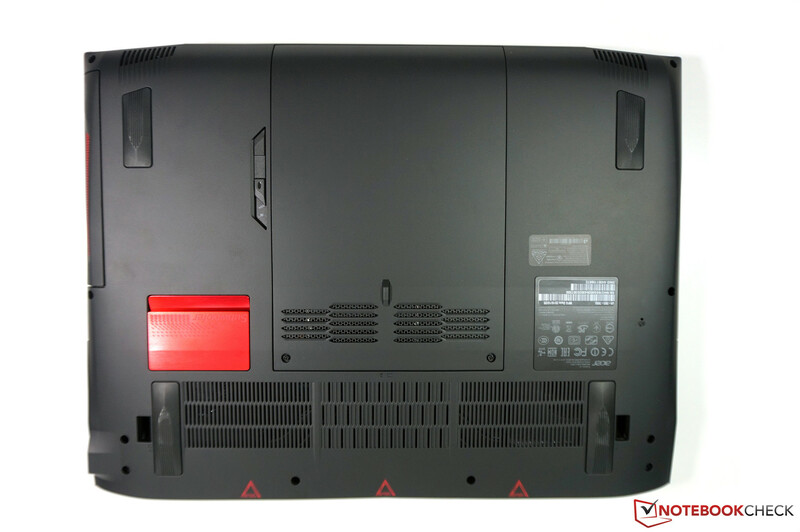 Acer offers different configurations of the Predator 15 G9-593. All SKUs are equipped with the quad-core processor Intel Core i7-6700HQ. You can choose between two different GPUs (GeForce GTX 1060 & GTX 1070) and the memory capacity. All systems are shipped with a dual-storage solution consisting of one SSD and one HDD. The base price is about 1,900 Euros (~$2024), while our top model with GTX 1070 GPU, 16 GB RAM and 512 GB SSD costs 2,500 Euros (~$2660). Thanks to the powerful GPU, the system is now VR-ready. Note: All performance and consumption measurements were performed with the additional Frost Core and the Predator Sense setting Normal. There is not much to say about the Intel Core i7-6700HQ, because we have already reviewed it many times. 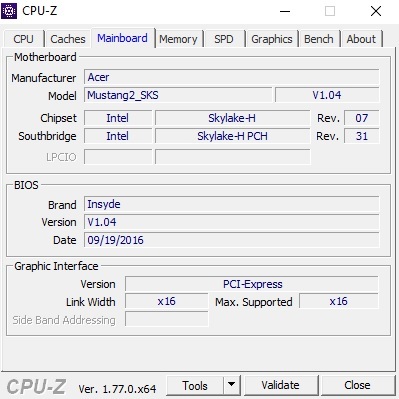 We are still waiting on the new Kaby Lake chips, so a Skylake quad-core is currently still the best option for a gaming notebook. Turbo utilization is more important in practice, and the Predator 15 performs well in this respect. 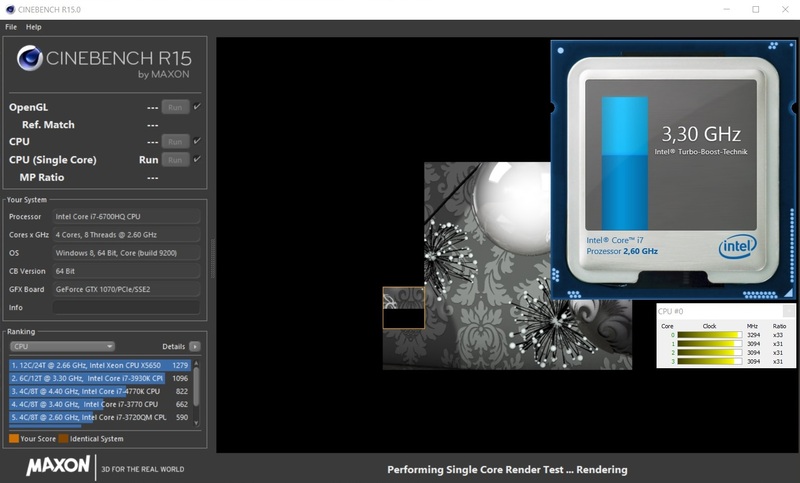 The clocks will vary between 3.1 and 3.5 GHz in Cinebench R15 Single, but this can also be influenced by background processes. 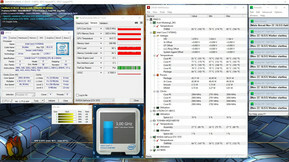 Stress for all four cores is handled with the steady maximum clock of 3.1 GHz. 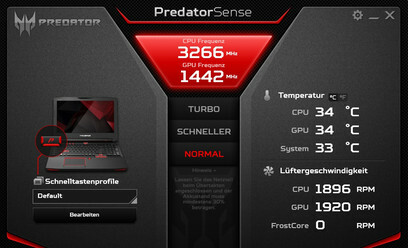 The overclocking feature of Predator Sense does not apply for the processor. You can also utilize the full CPU performance on battery power. More information and benchmarks about the Intel Core i7-6700HQ are available in our Tech section. 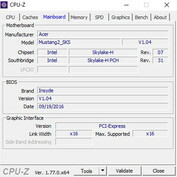 We use the synthetic PCMark benchmarks to evaluate the system performance. As expected for fast components, the scores are very good and the Predator 15 is even at the top of our comparison group in some scenarios. Subjectively, there were no problems, either. 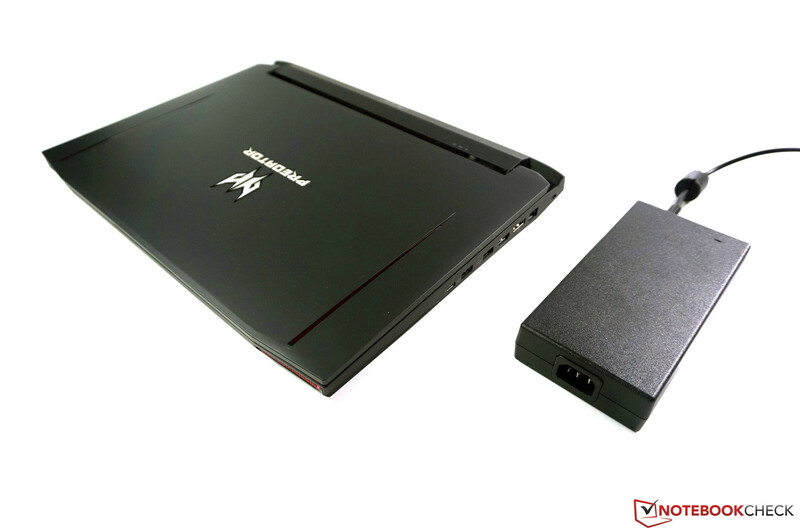 We have already mentioned that all models of the current Predator 15 G9-593 are shipped with an SSD/HDD combination. This means you can enjoy the advantages of a fast SSD in practice, while the conventional hard drive provides plenty of storage space. 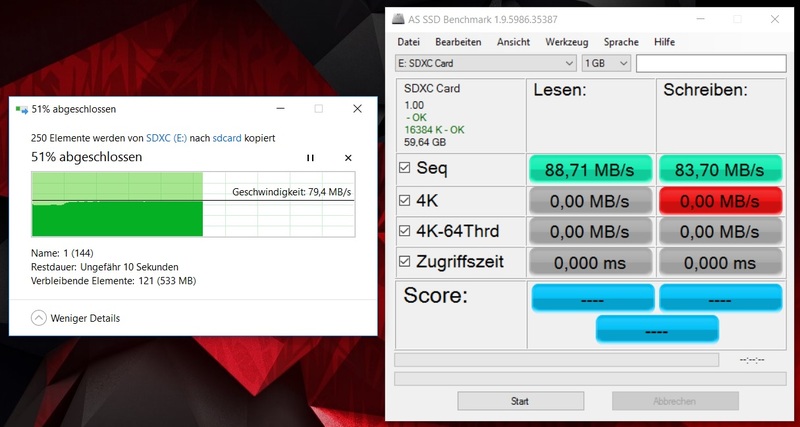 However, Acer unfortunately waives a fast PCIe-SSD and uses a conventional SATA-III-SSD (m.2-2280) with a capacity of 512 GB in return, even in the case of our top model. The model has the designation LiteON CV1-8B512, which performs on the expected level in the benchmarks. Because of the interface, the transfer rates are limited to around 500-550 MB/s. Still, there should not be any major disadvantages compared to modern PCIe drives in practice. In addition, there is also a 2.5-inch hard drive from Toshiba inside the test model. Thanks to a capacity of 1 TB, there is plenty of storage space even for gaming collections. It is a 5400 rpm drive and reaches an average transfer rate of about 90 MB/s according to HD Tune. The GeForce GTX 1070 is based on Nvidia's current Pascal generation, which was introduced this summer. With the new architecture, Nvidia finally wants to close the gap to the desktop chips. If there are performance differences, they are usually a result of the cooling performance and the clocks. With 8 GB GDDR5-VRAM, the GTX 1070 can also handle very challenging titles. Only the GTX 1080 or an SLI system is currently even faster, but you will have to get a bigger 17-inch system in this case. The test model performs very well in the benchmarks, and it is usually only (slightly) beaten by the Aorus x5 v6. The GTX 1080 is another 25% faster, while the GTX 1060 falls behind by 30-35% depending on the test. 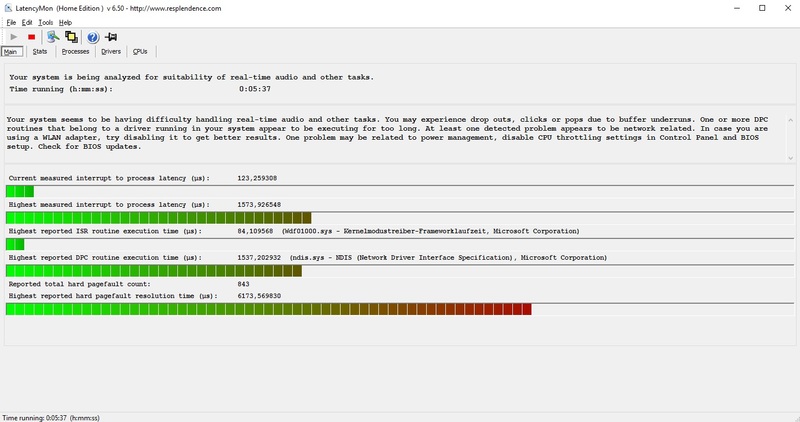 You can see the big performance gains of the new GPUs when you compare the results with the predecessor Predator 15 G9-592. 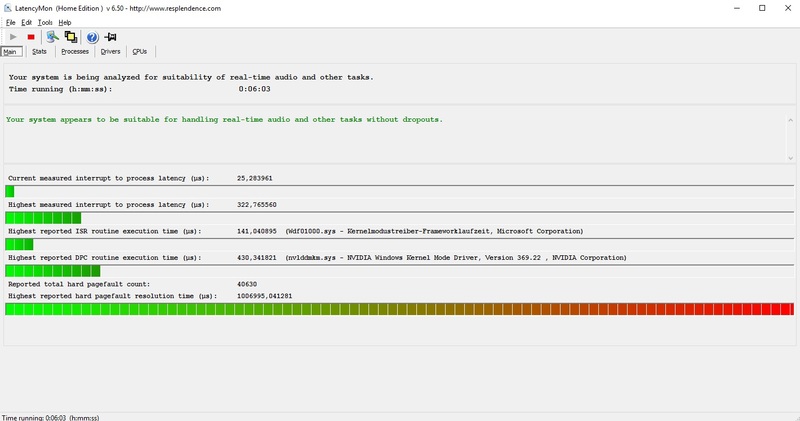 The former high-end GPU GeForce GTX 970M is clearly beaten in the benchmarks (minus 50-56%). Contrary to the processor, the Turbo mode of the Predator Sense tool has a small effect on the graphics card. 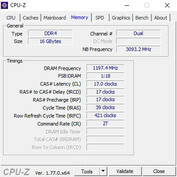 The core clock is a bit higher (up to 100 MHz), so the performance can be increased a bit. The GPU performance is about 40% lower on battery power (22,246 vs. 13,353 points @3DMark 11 Graphics). More information and benchmarks for the GeForce GTX 1070 are available here. The GeForce GTX 1070 is actually almost a bit too powerful for the Full HD display. We obviously do not want to criticize it, because there should at least be no problems with all titles at maximum details in the near future. You can also enjoy G-Sync, which enables an even smoother gaming experience. 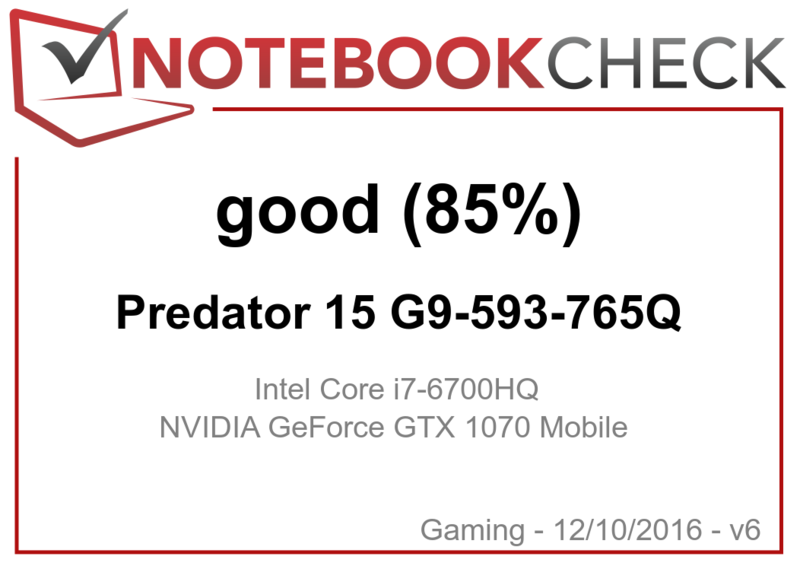 At least we cannot really stress the Predator 15 with our tested games. All titles ran at more than 60 FPS even at the highest details; only Deus Ex: Mankind Divided dropped to 40 FPS. The core clock is about 1600 MHz during gaming (up to 1785 MHz), so the Turbo utilization of the GTX 1070 is decent (base clock 1443 MHz). Compared to other GTX 1070 systems, the test model is usually at the upper part of the benchmark scores. More gaming benchmarks with the GTX 1070 and many other graphics cards are available in our gaming list. The Predator 15 G9 is almost silent under perfect conditions, but the fans are always running. However, this is only the case while idling and when the mechanical hard drive is not running. As soon as the latter is active, it is audible at 34 dB(A). The fans will react to peak load pretty quickly in general. The fans will reach between 40-45 dB(A) while gaming, which is typical for this class. The murmur is audible, but we could not determine any annoying frequencies. Overall, we would still recommend headphones while gaming. The fans will be really loud at up to 49 dB(A) in the stress test. The addition fan Frost Core might help during gaming, but it is otherwise rather annoying. As soon as it starts to spin, we can notice a rather unpleasant frequency and it tends to hum. This is particularly inconvenient with light workloads, where the other two fans are very restrained. We could also hear a slight electronic buzzing sound when we stress the SSD. This was, for instance, audible when we copied many files. Otherwise, the system in rather inconspicuous. The temperature development of the test model is completely uncritical. 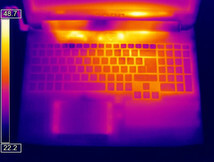 Only the rear area of the laptop warms up noticeably, but 40.5 °C at the top and 42 °C at the bottom are still very good results when you consider the performance. The palm rest does not warm up at all and the keyboard only gets lukewarm as well. 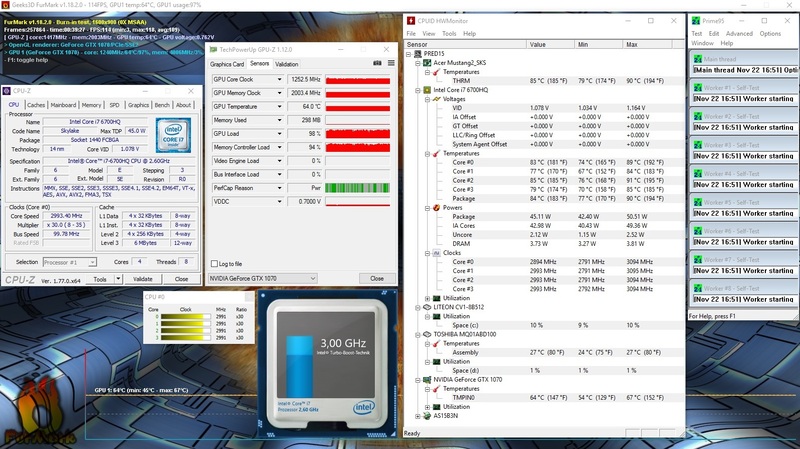 The processor in particular handles the stress test with the tools Prime95 and FurMark very well. The clocks level off at around 3.0 GHz at a temperature of ~85 °C. Our extreme scenario does result in slight GPU throttling of the GTX 1070 though, because the core only runs at ~1200 MHz and therefore drops below the base clock of 1443 MHz. 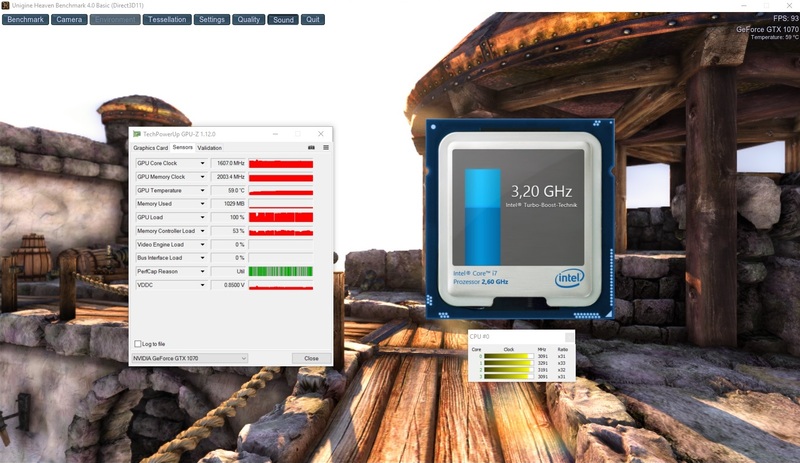 In addition to the stress test, we also checked the behavior of the components in the benchmark Unigine Heaven 4.0, which is a more realistic simulation for gaming scenarios. We cannot determine any limitations and both the processor (~3.2 GHz) and the graphics card (~1600 MHz) can utilize their respective Turbo ranges pretty well. (±) The average temperature for the upper side under maximal load is 34.2 °C / 94 F, compared to the average of 32.9 °C / 91 F for the devices in the class Gaming. (±) The maximum temperature on the upper side is 40.5 °C / 105 F, compared to the average of 39.3 °C / 103 F, ranging from 21.6 to 68.8 °C for the class Gaming. (+) The palmrests and touchpad are cooler than skin temperature with a maximum of 29.9 °C / 85.8 F and are therefore cool to the touch. (±) The average temperature of the palmrest area of similar devices was 28.7 °C / 83.7 F (-1.2 °C / -2.1 F). The sound system of the Acer Predator 15 G9 can be very loud and does manage linear mids and high tones, but the system lacks bass, despite the dedicated subwoofer at the bottom. Despite 90 dB(A) and the Dolby Audio software, which provides several presets, the result is a bit disappointing. 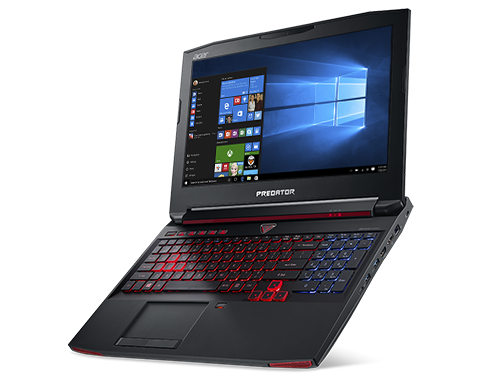 Contrary to some other gaming notebooks, Acer is pretty restrained in terms of audio ports on the Predator 15. We only get one connector for headphones and one for microphones, so you can at least attach high-quality headsets. The quality of the golden 3.5 mm jacks does not cause any criticism. 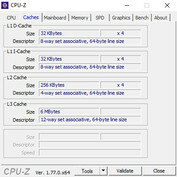 Because of the G-Sync display, the system cannot use the integrated GPU of the processor. The Nvidia GeForce GTX 1070 is therefore always active. 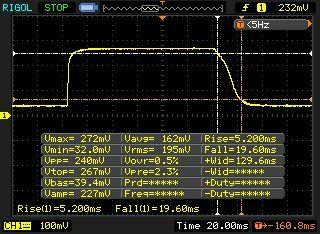 Compared to Optimus devices, the idle results are therefore a bit higher, but 18-29 Watts is still okay. At 86 Watts on average, the test model is one of the most efficient devices under medium workloads, but we can notice the powerful components under maximum load. 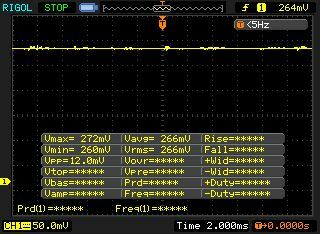 Our measurement device shows up to 201 Watts. It is nice that Acer seems to have accepted the criticism for the 180-Watt power adapter. The 230-Watt module of the current Predator 15 G9-593 (all SKUs) is about 300 grams heavier, but the battery will not be drained under maximum load in return, which was still the case with the previous model. We had a pretty unusual problem when we performed our battery runtime tests, because the test model just turned off or could not be started without the attached power adapter. The problem turned out to be the Frost Core, but we could not reproduce the issue. Battery operation would sometimes work with the Frost Core, sometimes not. The following runtimes were still determined with the additional fan. We never had this issue with Predator laptops until now, so we assume this is an isolated incident. 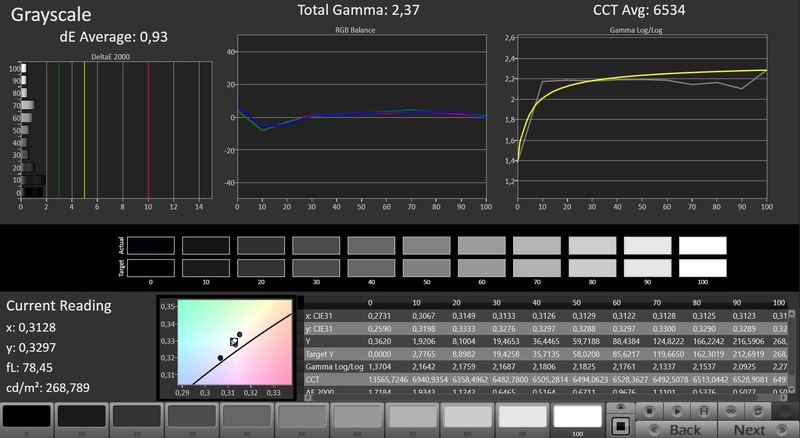 We can notice the missing Optimus support in the practical runtime tests at an adjusted luminance in particular. 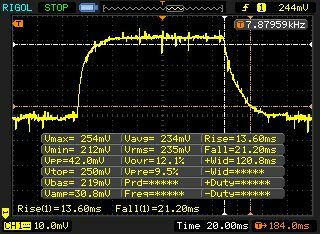 While the predecessor still managed almost 8 hours, the current model has to be recharged after 4:45 hours (WLAN test). Because of the limited mobility of the Predator 15, however, we think this compromise is acceptable. The results are actually not that bad in comparison with the other rivals. The 8-cell battery provides a runtime of almost 2 hours under load, but as mentioned before, the GPU performance is limited in this case. We did not like the long charging time. It takes more than 3.5 hours to fully charge the battery when the device is turned on (90% after 3 hours). 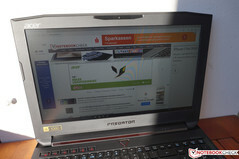 Acer Predator 15 G9-593. Test model courtesy of Cyberport. Acer's new Predator 15 G9-593 is a decent evolution of the two previous models – at least in terms of components. Sufficient performance is ensured by the new GeForce GTX 1070, the good IPS display finally supports G-Sync and the ports are up to date as well. That the battery runtimes are now shorter than before is not a big drawback in our opinion. Acer could improve the sound system. The measurements are actually not that bad and the modules also manage a good maximum volume, but the resulting sound is unfortunately not very convincing due to the missing bass. 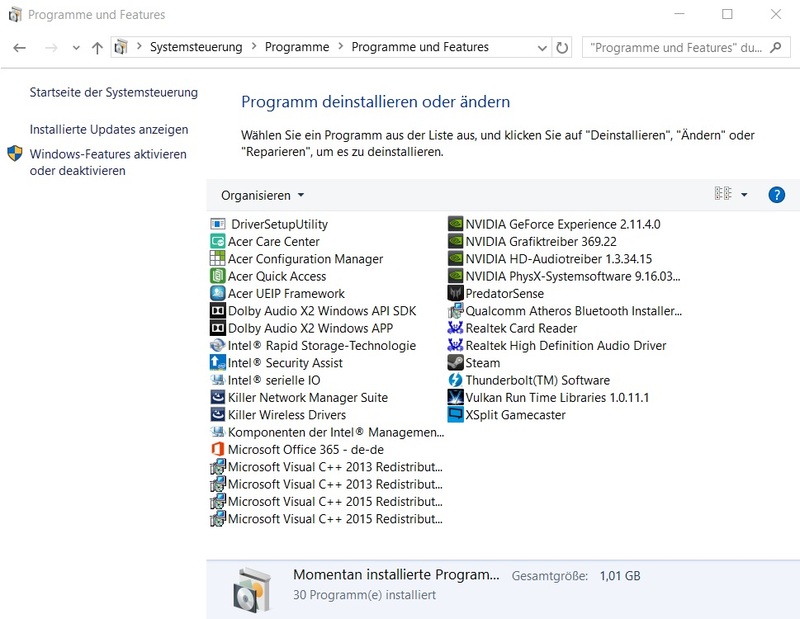 Another small criticism concerns the SSD, because Acer still uses a SATA-III drive. The manufacturer might also consider higher resolution screens for upcoming iterations considering the increased GPU performance. 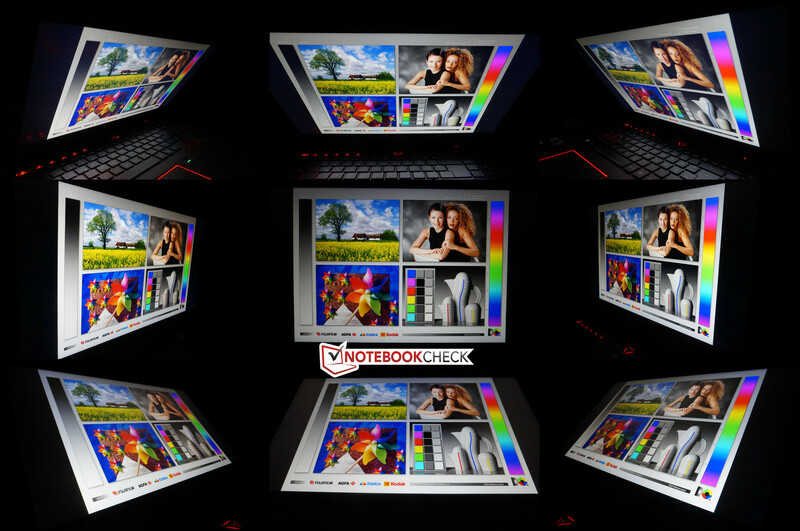 A lot of performance, low temperatures, good display and decent input devices – if you do not have a problem with the design and plan to use your gaming notebook stationary for most of the time, then the Predator 15 G9-593 is a good choice. 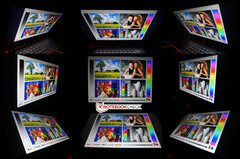 Except for the design – where opinions will still differ – the case is very bulky and heavy, even for a gaming notebook. Then there is the Frost Core, which does ensure a cool palm rest while gaming, but its fan is a bit annoying in practice. If you are not gaming, you should take it out. All in all, however, these are only small points of criticism, and we definitely have a positive impression after the review. 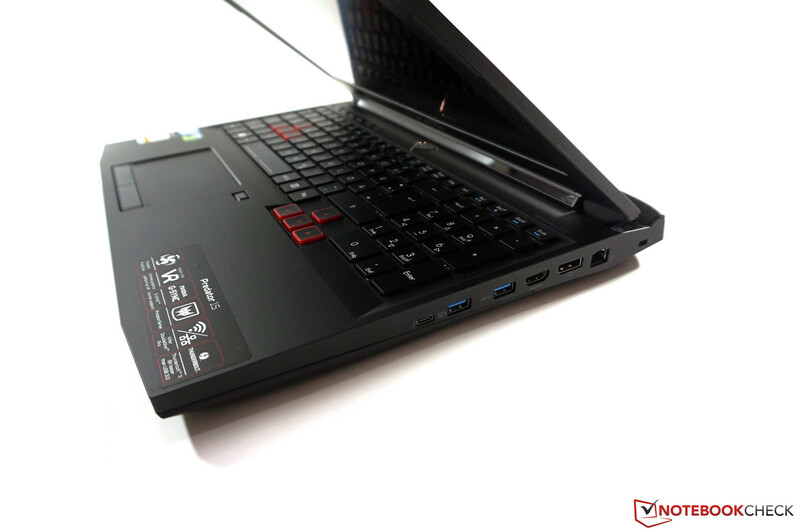 The Predator 15 G9-593 is a good gaming laptop, although our test model with the large SSD is not a bargain within the comparison group.